We get it. 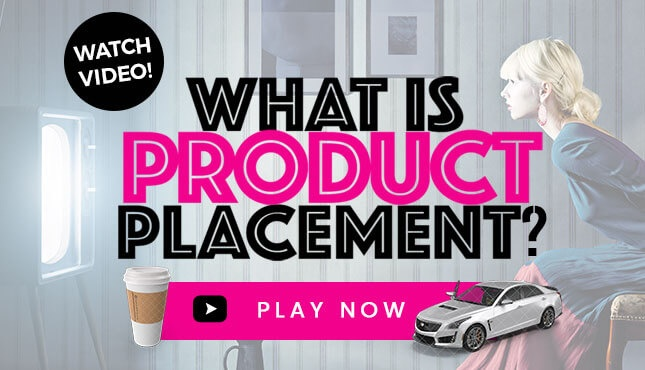 As a brand marketer, you’ve been tasked with developing a campaign to increase brand sales. 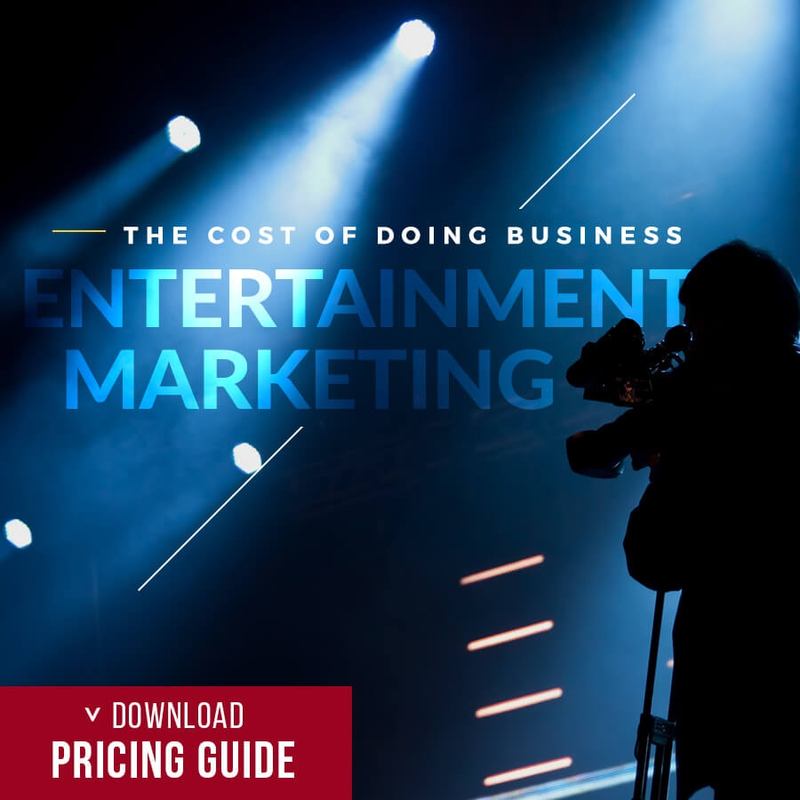 You work hours and hours on creating content that will effectively target your consumer base hoping that it will translate into an increased bottom line. Maybe you’ve had some success in the past, maybe you’ve haven’t. But now, you’re looking to the influencer space to figure out how you can drive sales using good ol’ word of mouth marketing. Well, you’ve come to right spot as we are here to help! In this blog, Hollywood Branded discusses four (4) ways to drive sales using influencers. This recommendation applies to both brick and mortar shops as well as e-commerce sites. Too often, brands want influencers to focus on just the products themselves. That’s great and all but consumers get tired of being sold on why your product is better than what they can buy from the your competitor, which in some cases, can be purchased for even cheaper than what you’re selling your product for. Sure, your product maybe be better made, or sourced from sustainable materials, etc; everyone has their selling points, we get it. However, what about changing it up? Instead of focusing on the specifics of how your brand is great, try having your influencers focus on the experience that consumers get when they’re shopping in your store or on your website. Is your website really easy to use? Is the customer service at your brick and mortar store stellar? These are the types of competitive advantages that should be highlighted through your influencer campaign. People don’t always remember what you sell but they will remember how they felt when they bought what you sell. So in conclusion, be sure to really highlight how your company makes customers feel when interacting with your brand. When done tastefully, this will absolutely help drive sales for your brand. And if you don't feel your brand can be shown positively? Then there is more work to do on your own brand to improve it, before possibly reaching out to influencers to market that sales experience. This is one of the oldest tricks in the book, but when done correctly, can yield great success for a brand. Let’s be honest. Promos and discounts only work when they’re significant enough to actually catch a consumer’s attention. Unless you’re selling an incredibly expensive product, the 10-15% promos simply aren’t enticing enough to really drive sales. We talk about this in our office of millennials often - and they literally report back that the discount needs to be really significant to make them want to purchase "now" versus possibly waiting further down the line. So if you want to really drive that "now" purchase, here’s a little tip: make your promo/discount big enough that even a consumer that’s not in your target market stops to consider the deal that’s too good to be true. Yes, you may take a little bit of a hit on your per unit margin, but by pumping that outrageous deal out through influencers, you will be able to make up those sales by the sheer volume of product that is sold. In addition, the brand awareness that you’ll get from this campaign will ultimately translate to even more sales in the future. So, don’t be stingy when it comes to discounts. If you want to really drive sales, you have to be willing to take a bit of a hit on your per unit profit margins. You’ll make up for it on the back end. Until recently, there was a major disconnect between social media and commerce. But, lo and behold, never doubt a tech company’s ability to create products that help drive sales for their partnered brands. As the years progress, the line between social media and e-commerce is becoming more and more blurred. Features like Instagram’s “swipe up” and the ability to tag the product purchasing page directly in a photo are changing the game for influencer marketing. In the past, an influencer could only tag a brand’s Instagram handle and maybe include the link in his or her bio. All of those steps to get to a brand purchasing page ultimately killed the opportunity to make sales. Nowadays, an influencer can fast track their followers directly to a purchasing page. This provides frictionless purchasing, making a sale even more likely for a brand. So, as a brand marketer, if you’re looking to run an influencer campaign through Instagram, don’t be afraid to have influencers post content on their Instagram story. Yes, Instagram stories are fleeting (meaning they’re gone in 24 hours) but realize that Instagram stories 1) get more engagement than static content due to Instagram’s new algorithm and 2) allow influencers to include a link directly to your purchasing page. We can’t stress this point enough. As a consumer, there’s nothing more annoying than being redirected to a brand’s website that’s incredibly difficult to operate on a phone. Remember, everyday, the internet is moving more and more towards mobile. Even Google has released the fact that their new algorythm is going to make mobile content the priority - not the desktop version of websites. Which means a lot of brands have some serious optimizing to do. Not to mention, the medium in which people interact with influencers is almost always via their mobile device. So, as a brand marketer, if you’re looking to drive sales, it’s imperative that you optimize your brand’s mobile website before ever implementing an influencer campaign. Think about your website in terms of a new relationship. You may have impressed your date enough to want to come over to your house, but if he or she gets there and it’s trashed, your chances of having a successful relationship after that slowly diminish. Don’t make this mistake when it comes to marketing. To drive sales, you need to be clean from top to bottom. Although it may seem like a lofty goal, sales are definitely achievable through influencers. As a brand marketer, you just need to be very methodical about your process. Make a consumer’s journey from initial contact with an influencer to the point when your product is in their hands as seamless as possible. Remember, a consumer may not always remember what you sold them but they will always remember how you made them feel throughout the sales process. It is this experience that will make a consumer want to go and promote the product to all of their friends and family. 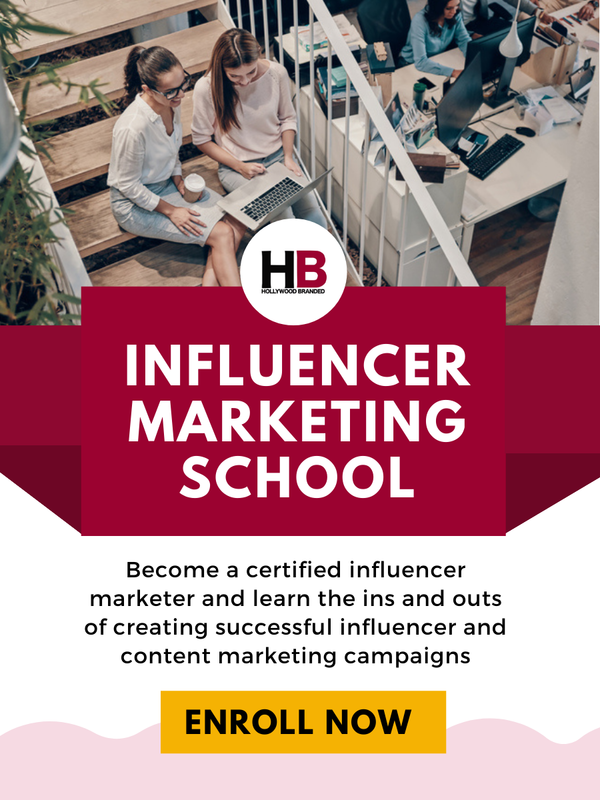 Make sure you check out these blogs are team has written which will provide you with even more tools to guide your influencer marketing journey! Achieving this level of brand satisfaction can sometimes be a difficult task for brand marketers, especially those that are just getting into the influencer game. Well, that’s where we come in. 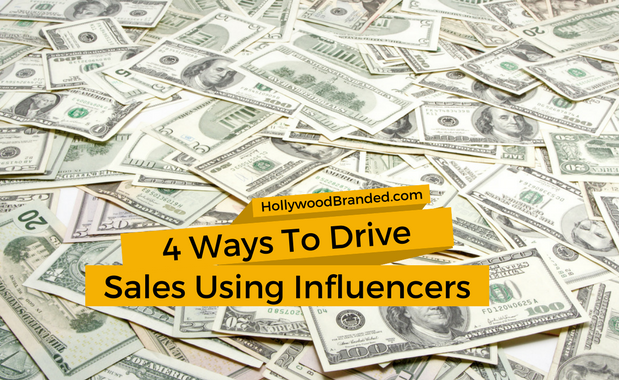 Here at Hollywood Branded, we’re experts in driving sales using influencers. 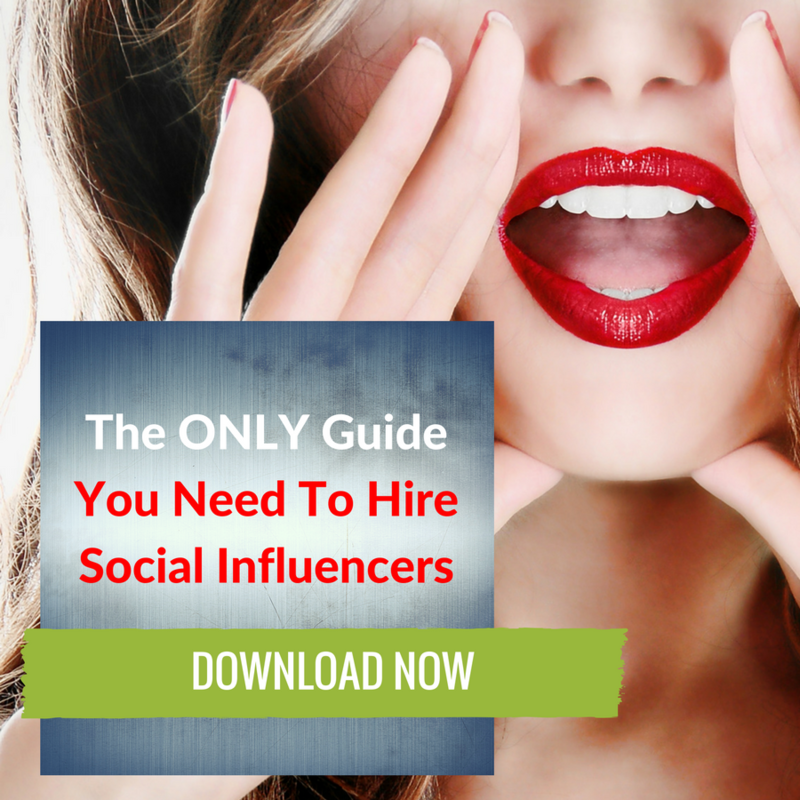 Check out our e-book, The Only Guide To Social Influencer Marketing You Need, to learn more insider tips and tricks!